Not into scorched fingers with your morning coffee? We didn't think so. 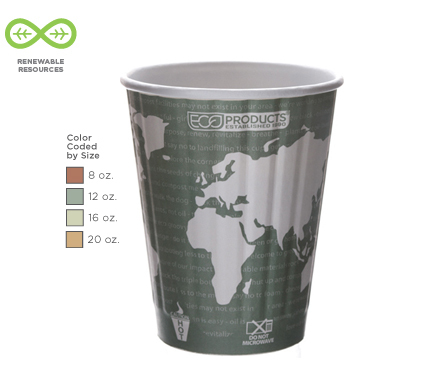 Insulated World Art™ Hot Cups are the simplest, greenest solution out there to keep drinks hot and hands cool. No need for a sleeve or napkin - simply grab, lid and sip. Fewer steps and no sleeve. Oh, and when you are done, simply toss your cup right into the compost bin.